Yasukichi Murakami moved to Australia from Japan in 1897. He lived in Broome as a photographer, entrepreneur and inventor before moving to Darwin with his wife and nine children in 1934. In Darwin he opened his own photographic studio, engaged with the Darwin elite and photographed everything in the town. After the Japanese attack on Pearl Harbor he was suspected of being a spy, arrested and imprisoned. He died in detention in Victoria, and his photographs were impounded and lost. Mayu Kanamori has been researching the story of Murakami for three years but came about it in a much more unlikely way many years earlier. Kanamori was in Broome in 1998 photographing Indigenous-Japanese people as a part of another project of hers called ‘The Heart of the Journey’. “While I was photographing her portrait, one women told me that her great grandfather was a Japanese photographer as well and that his name was Yasukichi Murakami, that was how I first heard about him and what initially sparked my interest,” Kanomori told Peril Magazine. However it wouldn’t be until 2011 that Kanamori began her search into Murakami’s life. “I began working on it three years ago to date, I remember exactly because it was the day after the Great Tohoku Earthquake and tsunami, I was in Perth and I met a historian Dr Lorna Kaino, she had done some work on Murakami and we decided to work together,” she said. Kanamori’s new performance work is entitled Murakami and uses a multi-disciplinary format of projection of images and live actors on stage to bring the story to life. She says the work is a natural progression from the last three works of hers. 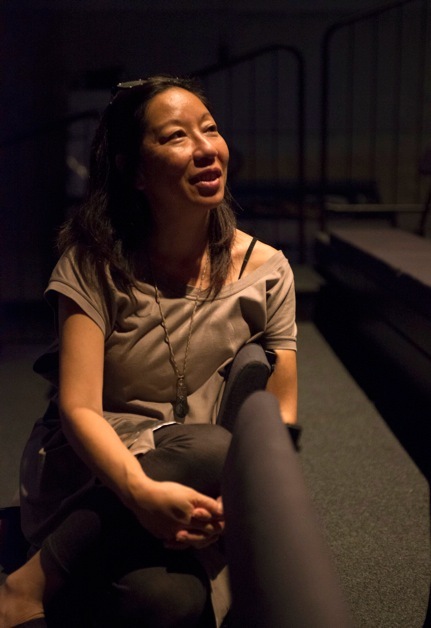 “Basically I come from a documentary background,” she said, “But I’ve found how I wanted to tell my story and I knew I needed more than photographic exhibitions.”She comes from a theatre family originally and talks of the project as somewhat a natural return to her roots. When asked how she managed to find the Murakami’s photos for the performance, Kanamori is coy, “The search and how the photographs come to be is all part of the story, so I don’t want to give too much away”. She says the photographs are hugely symbolic in what they represent. “Because of the violence of the Second World War most of the memory of those Japanese who lived in Australia prior to the war has been wiped out. “There are these iconic photographs of the Australian, like Max Dupain’s Bondi Beach which is meant to symbolise the national collective memory or a collective idea of national identity. The lost photos of Murakami, if you like, represent the collective amnesia that Japanese people have a history before the war. That was clear to me and that was important, that these photos coming up could recover part of the heritage lost, especially for the post-war Japanese diaspora.” But she says the photos are important not just important to Japanese people in Australia but to everyone. She also received unexpected help in her search from government officials in the Northern Territory, local media outlets doing call-outs, as well as numerous librarians, historians and even a contemporary photographer who has a studio in the heritage listed stone houses that Murakami and his family once lived in. 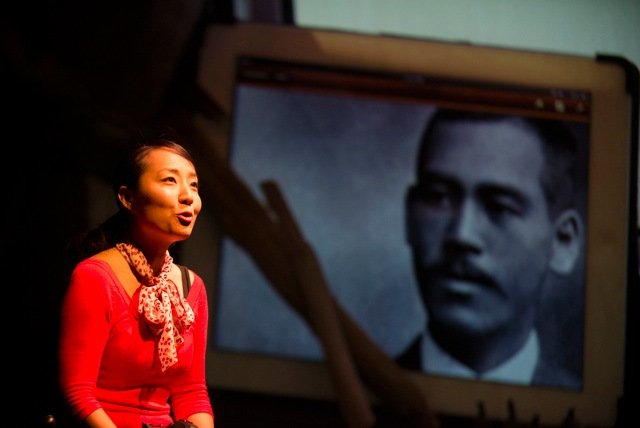 “It dawned on me that this is not just about the Japanese diaspora but this is about everyone’s lost history as well. So that was a very good process for me to realise this is a story of importance to the rest of Australia as well”. Kanamori and the production team Performance 4A are hoping to raise funds to properly pay the actors for rehearsals in the lead up to the show’s premier at the upcoming Darwin Festival in August. They are also in talks with OzAsia festival in Adelaide and also hope to put on the show in Japan. “I’ve been lucky enough to have had a lot of support from the Asian Australian Study Research Network (AASRN), who almost in direct action against Pauline Hanson and other similar people have formed a strong academic circle and have worked with artists as well to promote learning of the Asian Australian history. “I think it is becoming understood by the rest of Australia that Asian culture is a very important part of Australia, so the reception of my work has been in line with this sort of historical movement and of course I have been lucky enough to be strongly supported by the rest of Asian Australia as well. Photo Essay: Mayu Kanamori on Japanese Collective Amnesia Don’t mention the war? In a dim light… with Pia Johnson.